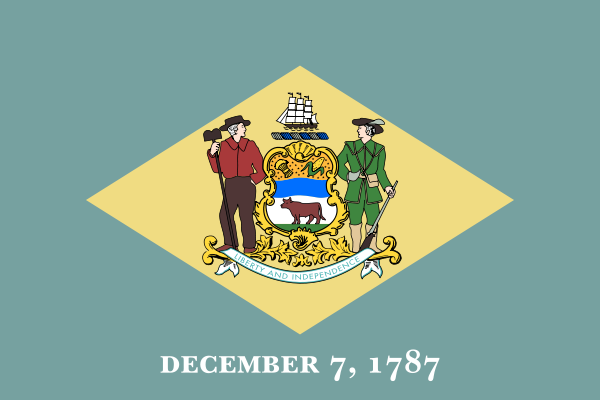 The second-smallest state in the country, Delaware was created as the first state to be ratified in 1787, thus having the nickname, The First State. There are only three counties throughout the state, Sussex, New Castle, and Kent and it the 45th populated state in the country. The capital of Dover is not the largest city, which belongs to Wilmington outside of Philadelphia. Some industries that make up Delaware’s economy is education, banking, pharmaceutical, healthcare, and farming. Delaware also is one of five states to not have a single-city population over 100,000 with only over 917,000 residents throughout the state. The state of Delaware may be small but the scrap metal activity is large. Between several metro areas like Philadelphia, Washington DC, and Baltimore, there is always a lot of scrap metal activity happening in the area. Scrappers in the region will want to stay updated on metal prices and the iScrap App is a great opportunity to do that. The Premium iScrap App Profiles on the directory are able to update their scrap prices through their account to allow scrappers to stay updated on prices. Also scrappers and users of the iScrap App have the ability to report scrap prices on the iScrap App. This is helpful for users that may be looking for current prices given at local yards. If you are traveling through Delaware or are working in the metro areas surrounding Delaware like Baltimore, Washington DC, or Philadelphia be sure to use the iScrap App. You will be able to search for scrap yards and salvage yards throughout the state especially in the areas of Newark, Dover, and Wilmington. Contact the scrap yards in Delaware on the iScrap App to get the most recent scrap prices, request containers for job sites, or auto parts for your car repairs. You can do all of that through the iScrap App directory by searching the Delaware locations or searching your zip code.